Information about Orange Bike Labs. Ben at the 2011 Tour de France, awaiting the peleton. Orange Bike Labs is a nano-sized software shop founded in 2011. Headquartered on the near west side of Madison, WI, our mission is to deliver both commercial off-the-shelf and custom mobile device software that is easy to use, powerful and reliable. Our commitment to software as an engineering discipline, coupled with our decades of experience give our software characteristics that are uncommon in today's marketplace. We specialize in the Android platform. While this site highlights our commercial software, under certain circumstances we also develop software under contract. Please contact us for information about these services. Ben and his wife, Liz, on non-orange rental bikes, ascending the Col de la Croix de Fer in the French Alps. 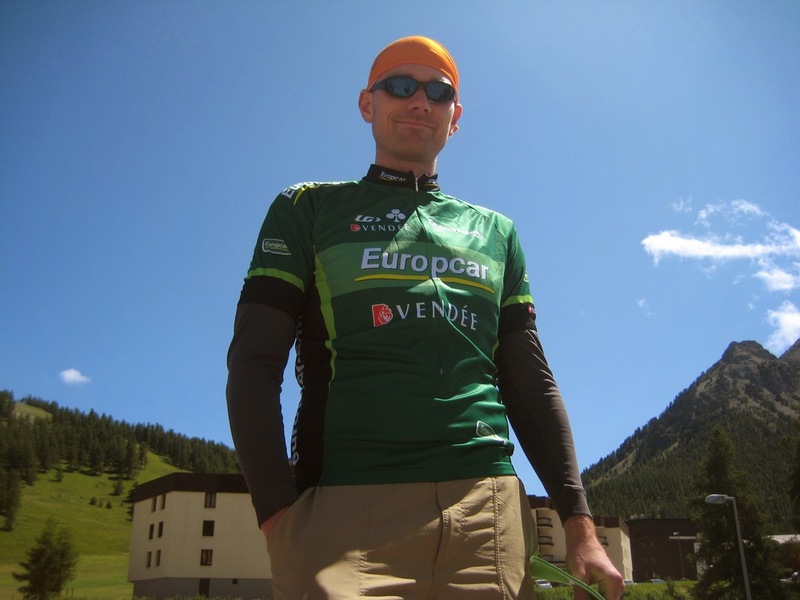 Before Orange Bike Labs was born, Ben spent twenty years in the commercial software industry. He learned a lot and worked with great people during this period, but writing other people's software is not as rewarding as building something as personal as Orange Squeeze. Above all, we would be nothing without our friends and family.